At this year’s ACHEMA, KSB Service GmbH is, for the first time, presenting its new service concept based on augmented reality. It is all about working with data glasses linked with the Internet, or with a smartphone app. Saving time benefits the user in many ways. With the pump being returned to service within a short amount of time, production can be resumed quickly. Also, a service expert's virtual inspection might reveal that a specific action can wait until the next revision. The data glasses further support commissioning. They can serve to check in advance whether the installations are actually ready for commissioning. Real-life tests of this system have proven very successful. At the KSB Stand H14 in Hall 8.0, visitors can try the system out first hand. 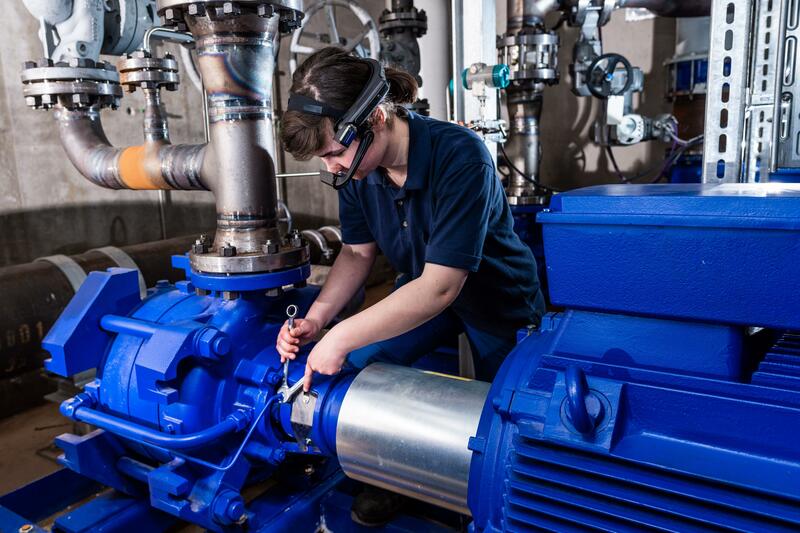 They can be guided at a prepared pump by an expert via the data glasses.